Stainless Aquatics is a division of Island Construction Corporation, a San Diego based construction company that has been in business since 1982. 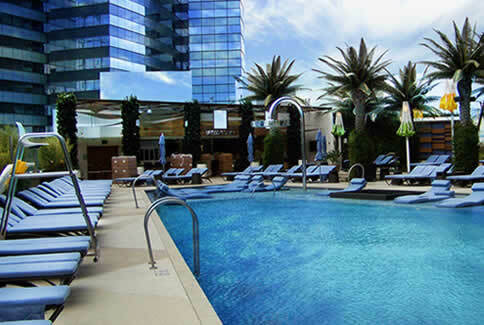 Our team has over 30 years of experience installing pools, spas, water features and Swim Spas® for the hospitality industry. Stainless Aquatics can help you plan and choose the right aquatic solution for your situation, taking the project all the way from conception to final installation. We are also very comfortable working with your design team to install and execute your established plans. 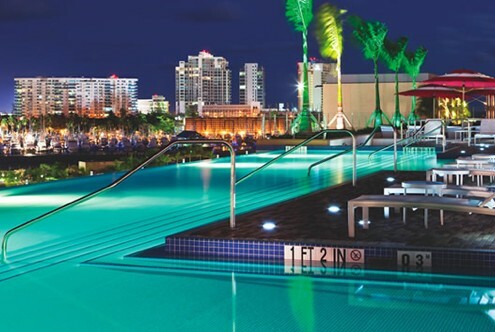 Our pool installation capabilities cover all facets of pool, spa and water feature installations for both stainless steel and concrete vessels. We offer services for new installations as well as repair and replacement work on existing pools and other aquatic features. Need to put in a rooftop pool? No problem! Stainless steel allows us to pre-fabricate pools and spas and then have them placed on-site with cranes or helicopters. We can take the lead on your project and manage the overall effort including design, planning and final installation. We are also comfortable taking on just one piece of a larger effort and experienced working with other vendors. We can fully execute a wide range of related construction projects and have the full support of Island Construction resources and expertise. This allows us to offer a full range of services without the need for multiple vendors. From concrete pool decks, to masonry work on entrances and more, we are fully able to deliver a high quality finished product on time and in budget! We are well versed in working with hotels and management companies with whom we are happy to share as references. Our business is built on our reputation for top quality, dedication to deadlines, and our concern for minimal impact to the service areas. 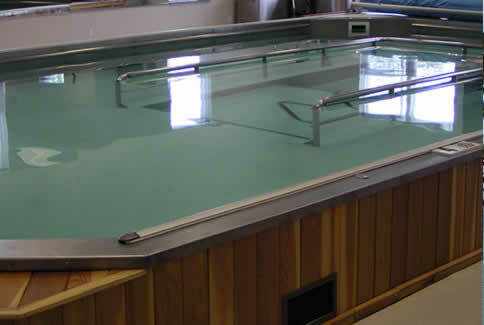 Why use stainless steel for your aquatic project? In ground or podium (above grade) pool installations projects both offer challenges we are very familiar with and have solved many times already. This central California project involved installing a stainless steel rooftop pool on the 4th floor roof deck of the new Hotel Serra in San Luis Obispo. Installation required closing the street in front of the building and utilizing a crane for the lift and placement of the pre-built steel pool. This Southern California project involved installing an upper level (podium) pool and spa at a high end beach-front resort. It utilized an all tile finished as well as custom pre-cast coping to give it a beautiful look. Using 304 stainless steel for the vessel allowed us to have the pool pre-fabricated and prepared ahead of time off site. We then utilized a crane for final installation.